The Amex Centurion Lounge Seattle at SeaTac is set to open sometime this summer. It is actually a scaled back Lounge, technically called a Studio. Amex Platinum card holders will have free access to the Studio while other Amex cardholders (non-Platinum) will be able to enter the Studio for a fee. UPDATE: An astute reader alerted me that for Studio locations ONLY those with Platinum or Centurion cards may enter (and may bring in family or one guest). 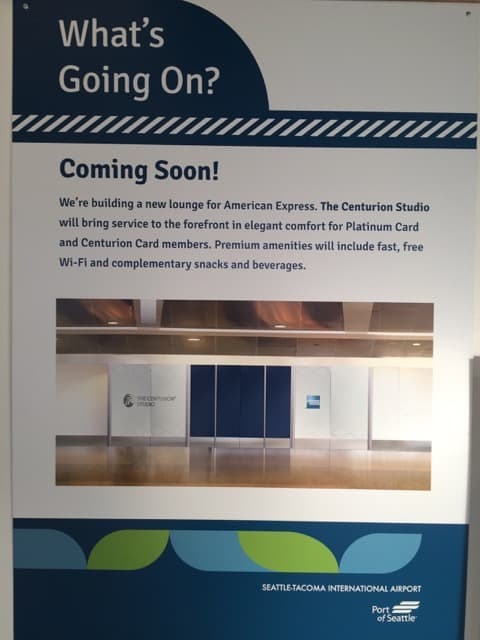 While at the standard Centurion Lounge other Amex card holders may purchase a day pass, day passes are not available at the Studio. I was recently at SeaTac on my way back from Long Beach, CA and decided to check out how the construction is going. 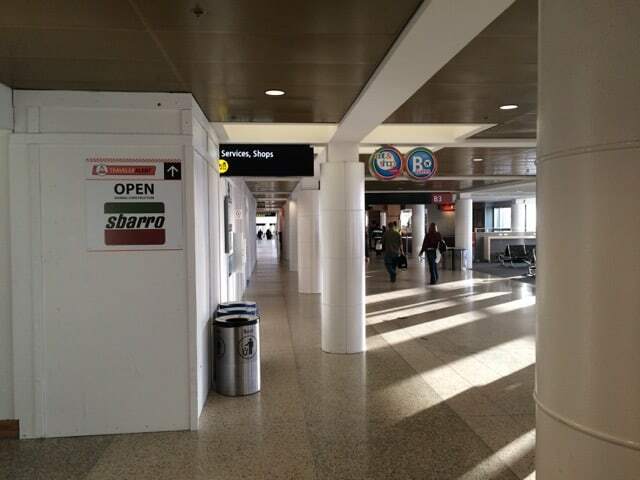 Located across from Gate B3 and next to the McDonalds, there are construction walls up. 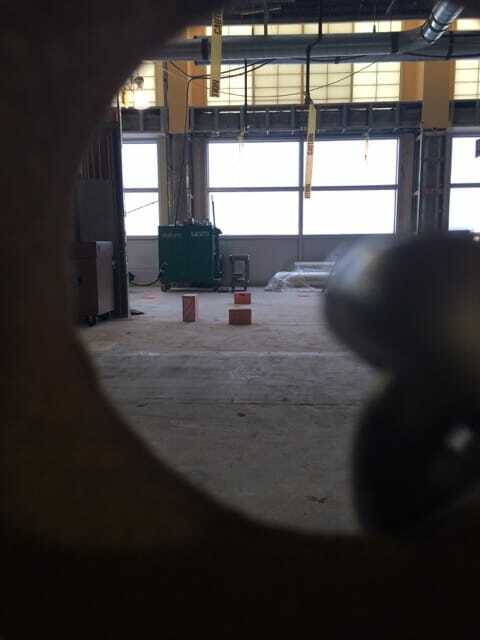 A quick peek through a hole in the construction wall shows that there isn’t much completed yet. 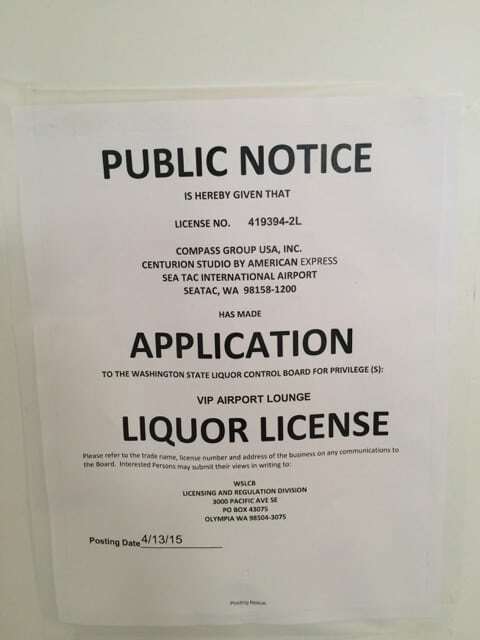 The good news is that the liquor license has been applied for, so whenever the Studio does open, there will be booze. Many travel folks rave about Centurion lounges; I have yet to try one out to be honest. But with this in my own backyard, I will likely be checking it out soon. Here is hoping that Amex offers a good sign up bonus on their Platinum card soon! Access to The Centurion Studio is complimentary for global Platinum Card® and Centurion® Member. To access The Centurion Studio, the Card Member must present The Centurion Studio agent with the following upon each visit: his or her valid Card, a boarding pass showing a confirmed reservation for same-day travel on any carrier and a government-issued I.D. The Centurion Studio does not sell one-day passes. Other American Express® Cards are not eligible for entry. Centurion® Members and Platinum Card® Members who receive complimentary access may enter with up to one guest or immediate family (spouse or domestic partner, and children under 18) at no additional charge. The Centurion Studio does not sell one-day passes. Additional guests are not eligible for entry. Thank you for this update! I have changed the post to reflect this information.